Cannabissearch.com Buzz Rating: With almost no body high present, Ochorios generates a powerful and head-spinning cerebral effect that has been known to last as long as an hour-and-a-half. Ochorios was created by using two of the finest sativa genetics around. This is a relatively stable strain, but does put out two distinct phenotypes. The first pheno is a nearly pure sativa that evokes a head-spinning high with incredible longevity. The second pheno is also sativa-dominant, but has a slightly less radical cerebral effect that doesn't last quite as long. This pheno is good for nausea, as well and provides a slightly more noticeable body high. The buds from both phenotypes are elongated and somewhat wispy, although by no means airy. Flavors are of coffee and incense, with aromas of coffee, earth and chocolate. Vegetating this strain any longer than two weeks indoors, can result in a plant that becomes too tall for the grow room. They will triple or even quadruple in height, at the end of flowering, so that is something gardeners need to pay heed to. 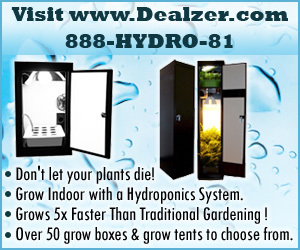 Outdoors, these ladies can reach heights of 12 to 14 feet, produce up to a pound-and-a-half per plant. They'll be ready for harvest by the end of November, in the Northern Hemisphere. With that in mind, they should only be cultivated outdoors or in a greenhouse in areas that have warm weather through November. These ladies respond well to topping and other means of training, but will still grow quite tall. Ochorios 0 out of 5 based on 0 ratings. 0 user reviews.